I made myself have a rest today. And I mean MADE. It wasn't too difficult as it turned out because I know I need it. It will be harder to continue my rest tomorrow but I really should and then make the most of it on Thursday. 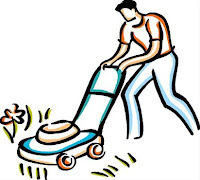 Anyway, to make up for the lack of exercise, in part, I mowed the lawns. It takes me a good 45 mins. 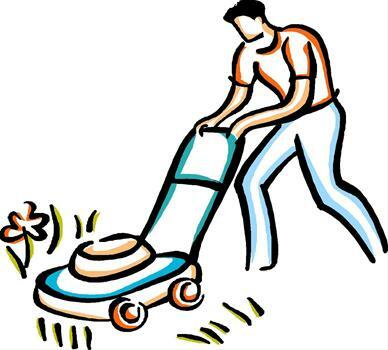 to push the electric mower around when the grass is as long as it's grown over the last few days. So that's a banana's worth and more of calories. Roll on Thursday, that's all I can say! Today's a Bank Holiday, so there's me thinking 'a good day for a run', even though I ran yesterday, didn't feel particularly good after it and had a tiring day following it. I guess it was the feeling of free space in front of me for the day, without appointments or obligations that was the attraction. And so I ran. I was only going to make it a short run anyway, just 4k because at the back of my mind was the knowledge that today should be a rest day. But, that 'free space' was beckoning. So, I ran. I decided to run some of my old route which I used to run all the time when I ran a few years ago. This was mistake number 2. It's a long slow incline for the first half, the opposite for most of the second half and then a shorter pull up and over and down back to home. Compared to the route I've been running recently it's quite boring and monotonous. I prefer more undulations now. This old route, because of the lack of variation, is more strain on the legs. I was ok for the first half and just into the second, and then my left hip started to hurt. It was a pain I've never had before. I managed the 4k I'd planned but I could tell that this had been a mistake and I was glad to stop. It sort of recapped and brought home the lesson that it's best to 'listen' to what my body is saying and if there's the slightest hesitation, to err on the safer side and save my legs for another day. Now I'm going to have to have 2 days off to make up for it. It's one of those paradoxes of life that good things can be bad for us when unwisely used. Exercise and food are good examples. I've been trying to control both for my benefit and the lessons are hard to learn. Yes, I took the risk of running again this morning. I couldn't not. The weather was just right and my legs felt a lot better, just a few aches here and there but a lot better. Of course, I was only going to do 20 mins. max. But I did 42 mins and took in two hills as well! So much for easing my way back in and taking care of my legs. I could already feel the benefit of pushing myself last Friday. Amongst the aches I could feel, or below the aches and remaining stiffness I felt stronger. I think that's why I tackled the hills; one shorter hill on the way out and a longer one on the way in. It sort of proved the increasing strength. So, all in all it was a good run this morning. Yes, when I got back I was aching rather more than if I'd given myself another day of recovery. But come on, the longer I stay inactive, the larger the belly gets. And that I cannot have again, no matter what the pain. Just a note here though about when I'm talking about aches and stiffness. I have to say that I haven't had one pain that I can attribute to wearing minimalist running shoes. I certainly don't get shin splints anymore like I always had with my conventional trainers. The aches and pains I get are simply from pushing myself too far, which, incidentally, I do less of now because I'm wiser and also my minimalist shoes really won't let me. Honest. "You can have all the heart in the world, but it doesn't mean anything unless you have the legs." Walking's been a pain and getting downstairs a nightmare since my run last Friday, but today I began to get my legs back. On Sunday I wondered if I'd ever get them back, walking was so excruciating. Maybe tomorrow morning I might manage a mile or two but if not, definitely Thursday. Friday's run was the best ever. I felt on top of the world, carried along by the whole experience, full of enthusiasm for what I was doing. So much so that I had little regard for what it was taking out of my body. I felt like I was 16 and forgot that I'm 61. And there's the rub. My enthusiasm carried me too far and I suffered. Thinking about those who go in for extreme sports of different kinds, sometimes their enthusiasm not only makes them suffer badly, but has been known to result in their death. Part of the story of Pheidipides' iconic run from Athens to Marathon, that's conveniently forgotten, is that shortly afterwards he died of exhaustion. Enthusiasm isn't a substitute for having the body, the ability and the wisdom that sees you through to your goal, or to the finishing line in good shape. You need to have the equipment and it needs to be in the best working order possible and you've got to be able to use it wisely. Enthusiasm can be the death of you when you aren't equipped to make best use of it. So, with all the pain I've suffered over the last 3 days, was my long hard run on Friday worth it? OF COURSE IT WAS!!!!! And I'd do it again. I know I probably will some time. ..... "I was doing fine up to Foresthill, but I've entered a world of hurt since. The pain is getting intense," I said. There was a long moment of silence, and then the Indian chief began to speak. "That is to be expected," he said, continuing to scan the sky. "Pain is the body's way of ridding itself of weakness." So writes Dean Karnazes in his book Ultra Marathon Man (see My Recommendations in the sidebar) in an encounter at one of the check points on his first ultra marathon race the Western States 100. Well, if what the Indian chief says is true, my legs are doing some ridding of weakness this morning! . I'm having difficulty walking this morning because of stiffness and soreness in my legs. But it takes nothing away from yesterday's run. It's all part of the process, of building up, healing, improving and learning. It'll mean at least 2 and maybe 3 days of rest, but I've learned to put up with that too. On a more positive note, the bathroom scales tell me this morning that I've dropped another 2lbs. Step by step, pound by pound, mile by mile, I'm getting there. If I've ever wondered why I'm putting myself through all the dieting and exercise, well, this morning I got the answer. This morning's run made the whole of the last 6 months worthwhile. For a few weeks I've been wanting to get off the road because I just had a feeling, and that was all, that running on trails and country paths must in some ways be better than pounding the pavement. When I used to run some years ago, the only respite from the roadside was my circuits around the local park. But recently, something inside was telling me that off the road held something different. I didn't know what but I just had the feeling it did. I bought the trail shoes, Inov-8 BareGrip 200's, a few weeks ago so that I could try the off-road experience whenever I could. Well, this morning was my first time. And what an experience! My abiding impression is this: Sun, blue sky, nettled, scratched, wet feet, muddied and sheep pooh; pheasants took flight squawking furiously as I approached; sheep and cattle wondered what this idiot was doing so early in a morning, disturbing their breakfast; slanting sun making fields full of jewels as it reflected off the dew; solitude, peace and fresh, unpolluted air. When I could run I ran, when I had to walk, I walked. My time was slow but I didn't care, I was drinking in the whole thing. It was GLORIOUS, heaven on earth! Although I was running most of the time I carried my camera (it's only very small) and took photographs. It was a good excuse to stop and get my breath back as well. I'm not the world's best photographer but I've included one or two here so you can see how beautiful a morning it was. It's just like what Haruki Murakami wrote and which I quoted a few days ago. It might seem a pretty pointless thing to do, running through the countryside, but it's what happens in the heart that matters and only the one who does it really knows. Somebody has to go to work! Not so happy socks and trail shoes! Yes, you've really got to read this post!!! Well, no you don't have to. I was just trying to attract your attention. But now I've got it you might as well read on hadn't you? I was out again this morning. I was a bit later. I'm getting to know the cars that pass me every morning now and some of them, that I see on mt way back, passsed me on the way out today . We are such creatures of habit. And habit can get in the way of development. When I think I've got a good thing going, I find it difficult to do something different, even though I really know it would benefit me. I think running not quite as far and thinking more about form and building myself up would be better for me just now. But somehow, running not quite as far feels like it's not really helping me improve. Just something in the mind that I'm struggling with. I realised this morning that I'm more comfortable running on a path with a slight camber from right to left. It seems to make up for the weakness in my left foot and whatever I'm doing 'wrong' with my right leg. When I understood that, I found that I could run a bit faster. Now I think about it, I used to run like that in my old motion control trainers. But in those I got far more pain and injury. So I'm still convinced about my Neo's. 'Even if from the outside, or from some higher vantage point, this sort of life looks pointless or futile, or even extremely inefficient, it doesn't bother me. Maybe it's some pointless act like....pouring water into an old pan that has a hole in the bottom, but at least the effort you put into it remains. Whether it's good for anything or not, cool or totally uncool, in the final analysis what's most important is what you can't see but can feel in your heart. To be able to grasp something of value, sometimes you have to perform seemingly inefficient acts. But even activities that appear fruitless don't necessarily end up so. That's the feeling I have, as someone who's felt this, who's experienced it'. Yes, it's what's going on inside that matters. I think it gives an explanation too for lots we do in life that seem, on the outside, to be pretty pointless to in uninitiated. It's what goes on in the heart that matters. As soon as I read that I thought; 'yes, that just about sums up having faith in God too and living life as a Christian'. It's not the first time, and I'm sure won't be the last, that running has informed my spiritual life. This morning, it poured down with rain as soon as I stepped out the door. But I enjoy the rain when I get soaked through. It no longer becomes uncomfortable. It's just the opposite of being dry. And it kept my mind out of my legs a bit. It's often what seem to be the more insignificant things that upset us or delight us the most I think. 6 months ago, when I started this journey I had difficulty bending down to cut my toe nails, simply because my belly got in the way. It left me puffing and panting and my back aching. Now - it's far easier. It's good to weigh yourself and see the needle on the bathroom scales (my scales are ancient) going backwards. But I get far more delight out of moving along a notch on my belt and looking in the mirror and seeing that my moobs are sticking out less under a t-shirt. Those things and being able to get into clothes I wore years ago when I was much slimmer, are far greater incentive to keeping going in the battle to lose weight. My belly's still quite a bit jelly and I've a way to go yet but I'M ON MY WAY! I continued with c25k this morning just doing the 30 min. run that comes as an 'extra' to the 9 week programme. There are a couple of others - a 45 min. run and one that you design yourself. I actually did 35 mins. It was good and less of a strain than Thursday which had me out for an hour. But I felt the weakness in my left foot for the first time and the stiffness in my right leg. I'm sure if I keep just to the 30 min. workout and don't extend too much then I'll get through those things. JUST 9 WEEKS LEFT. 63 DAYS. 14th October is the final day! 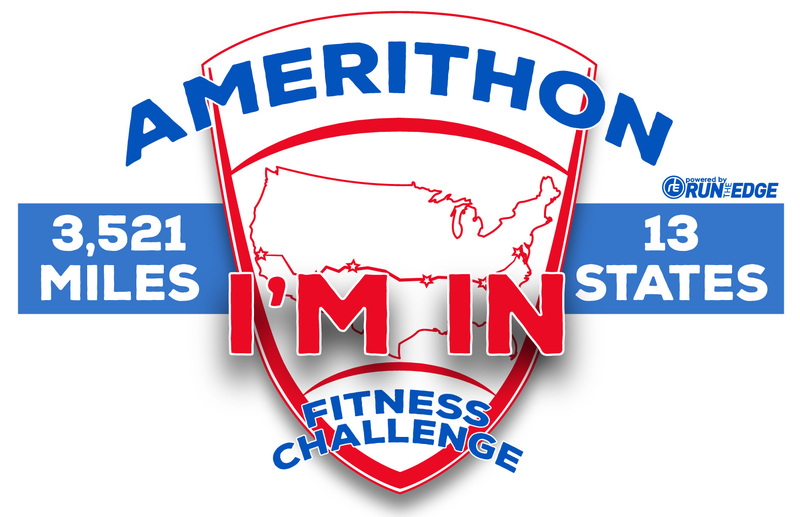 Exactly 9 weeks from today. Today my right leg is aching a bit due to the long run yesterday. So I've decided that it was too much too soon and to rethink. I've decided that for the next 2 weeks I'll run just 30 minutes and concentrate on building up strength and correcting my running form. I've done very well so far. I finished c25k just a day behind schedule, but I pushed myself to do it; and now I'm in danger of pushing too far altogether. If I finish B210k by the end of the year I'll be happy. So there's no need to rush. I'm going to do the exercises for strength and form from the book 'Natural Running' by Danny Abshire which I bought several weeks ago. It's a very detailed book but one which helps you understand much better how the whole body works in running and how and why injuries are caused. More importantly, it describes how to change your running style and form in a slow and progressive way that builds you up at the same time to create the best distance and speed. So I would be crazy to ignore such good advice. Luna Sandals hasn't e-mailed me yet to say my order has been despatched. I'm going to phone on Monday if I don't hear anything today. I weighed myself this morning and I've dropped a couple of pounds to 170lbs. (77kilos) So I'm on my way to my goal again. Thank goodness. I thought I was on that plateau for good. I want to lose another 6lbs. over the next 3 weeks which will take me to 11st. 10lbs. And by my birthday, hopefully, I'll have reached my weight goal of 11st. 7lbs. Really, I'd like to be 11st. 4lbs because I used to be at my best at that weight. So we'll see. But I'm happy that I'm on my way! It was warm and rainy this morning for my start on working up to 10k. I'm using b210k app on my iPhone now. I wandered all over the place trying to work out a route and it felt most unsatisfactory. I used to do ciricuits through the local park but I don't want to run in circles this time. So I'm going to have to work out a route that will build me up a bit more, something undulating with one or two short stiff hills if I can fit them in. I'm feeling like I've been stretched this morning, which is good. I was out for an hour which is the longest I've been out running and there was about 45 minutes running in that, the rest walking. So, it feels good. The extra day rest yesterday was a wise move. I'm not sure how I'll feel on Saturday when I come to day two. I'll try and work out a proper route before that and it will make it feel better I'm sure. I decided to take another day off running today because my right leg needs it. I've over stretched myself in the past and I hope I've learned the lessons well. It means of course that my start on Bridge to 10k is delayed, and it's a bit frustrating. But it's good to learn patience as well and to learn to listen well to my body. And I'm doing my best to convince myself that in putting my feet up for an extra day I'm being wise!!?? After Thursday's struggle and a rest yesterday, today was a different story. My body was more in tune with my mind and spirit today. So I extended my run by 5 mins. and the total distance I covered was 5.86K. I've gone metric by the way; I thought that if I'm thinking in terms of running 5 or 10k I might as well log the training in those units. One small thing I discovered was that when I noticed stiffness or pain anywhere, and I'm only getting twinges as you'd expect to get, if I kept my mind on the pain it was worse than if I took my mind off it. So if I took my mind and thoughts out of my body, my body would feel easier and lighter. Today's was the penultimate day of c25k. Last day next, which I'll run on Monday as tomorrow is a hard day at work. I'll try and finish with 'the hill.' That will be celebratory. I hope I'll be in good shape. I'll have finished just a day over time, which isn't at all bad going. I might take the rest of the week easier - MIGHT! Next stop though, 10k - before Christmas. I ran in my Neo's without socks today. I little bit closer to the earth. I thought, what's the point of dirtying socks when I can just wash my feet and legs? It's a lot easier. And, my feet felt better, more in touch, more in tune with running. Strange isn't it? All my previous running has been spent padded and protected and I was missing so much. Ok, my running pace just now is a little slower, but then I'm new to minimalist shoes - and some years older too. I took a risk this morning and ran again. It was a risk because I really need at least one day between runs. I wanted to get the final day of Week 8 done on c25k. I felt good and I ran 'the hill' right at the end of the run. (Thinks, I must put a photo of 'the hill' on this blog as I keep mentioning it in my twitter shares from the app.) Because of that it was a couple of hundred yards shorter run than yesterday. Running the hill stretched me nicely though. I've got a bit of stiffness in my right calf and left ankle this evening, but I'd scheduled a day off tomorrow anyway before I begin week 9. I expect to complete the week on Monday next which will be just a day over what I'd planned. I've just about ditched my old running shoes now. I can't wear them anymore because they just feel too big and clumsy. 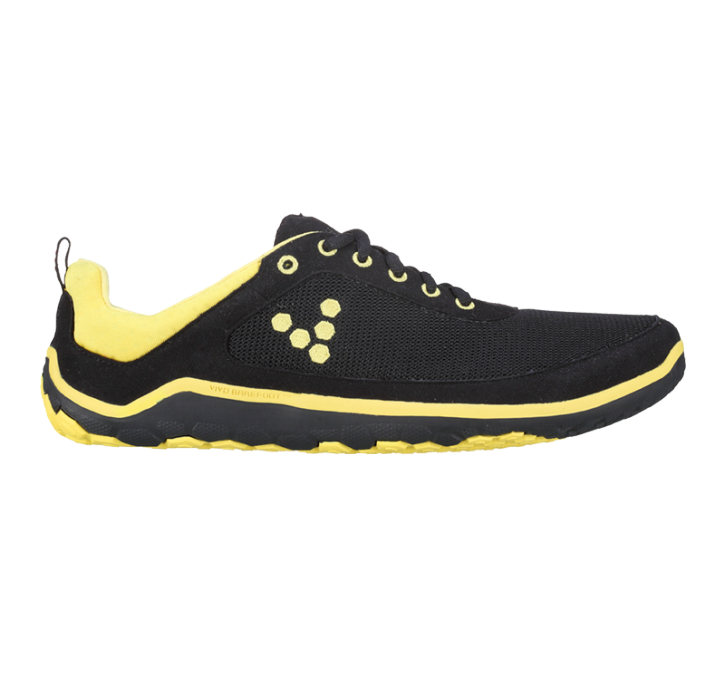 It's good to feel the freedom that the minimalist shoes provide. I'm looking at Luna Sandals too now, not for running in but for just walking about in as I'm finding it difficult now to walk about much in shoes with heels. And holiday in Greece is approaching and they'd be just the job! VERY expensive though because they are hand made in Seattle. I've ended up with lots of calories spare this evening. Good! 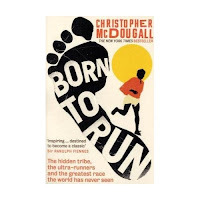 From what I read here and there on twitter and on the internet generally, the debate about conventional running footwear and minimalist/barefoot is going on a pace. 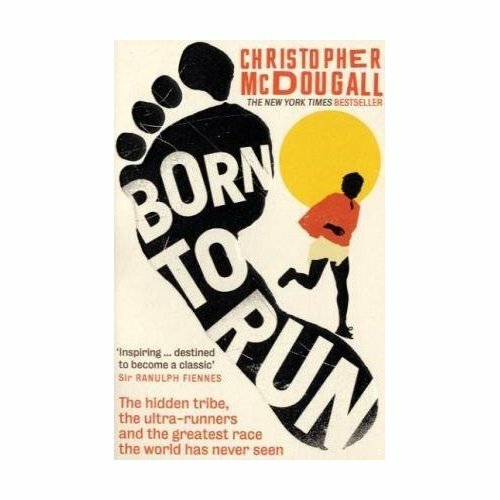 I have to say that I was convinced about minimalist/barefoot running simply by reading Born to Run. I think a lot of people have been similarly convinced by that book. 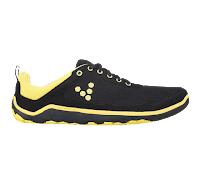 I've just about transitioned now into Vivobarefoot Neo road shoes and I have a pair of Inov-8 Bare Grip 200's that I'm going to be trail running in. As I haven't run for 3 years or more and over the last couple of months I've been just getting back into it, it's maybe an ideal time to transition and to learn more about running form at the same time. My immediate experience of running in minimalist shoes can be summed by saying 'It Works for Me'. In the years I haven't been running, I've developed arthritis in the large joint of my left big toe. When I walk in shoes with heel lift and especially my ordinary leather brogues, the joint hurts badly after about 5 minutes. When I walk in my motion control running shoes, bought because my left arch used to weaken after a couple of miles, the joint hurts, not quite so badly but it still aches. When I run in the trainers the joint hurts less but it still aches. When I walk or run in my Neo's I have no pain at all and also, my 'weak' arch now doesn't trouble me. I guess it's now a lot stronger than it was because the padding isn't there to support it. I seem, quite naturally to 'listen' to my feet, legs and body and make small adjustments in my running form in a way I never used to do when running in my previous cushioned, motion control shoes. I think of those years when I ran in pain nearly every day because I believed that that is what runners do - no pain, no gain. And the hours I spent with legs elevated and bags of frozen peas strapped to them to get some relief! I believe I'm more sensible too now. Because my minimalist shoes are giving me a more 'natural' running experience and I'm listening to my body and feeling the ground a lot more, I'm not over extending myself as I used to do. I do believe that my minimalist shoes actually encourage me to run in a more natural fashion simply because it's impossible to run 'unnaturally', i.e. with a heel strike. They necessitate a mid foot or fore foot strike. I know that lots of people are happy with their conventional running shoes and I've no axe to grind on the issue at all. I'm simply confirming that what I read in Born to Run, up to now, is being borne out by my own experience. So, running in minimalist shoes works for me. Maybe it might work for you. My minimalist shoes are expensive but for me, they are worth every penny because I'm enjoying my running much more than I did in the past. And I'm saving on frozen peas!